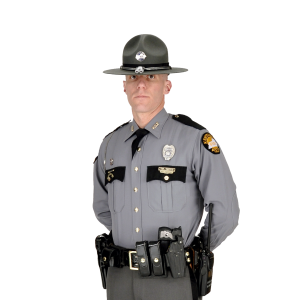 Dry Ridge, KY –The Kentucky State Police at Dry Ridge will be conducting traffic safety checkpoints throughout the post district. These checkpoints will be set up at designated areas on highways where statistics have shown an elevated number of vehicle crashes. During the checkpoints officers will be enforcing laws related to Operating a Motor Vehicle While Under the Influence of Drugs or Alcohol, Licensing of Motor Vehicles and Operators, Registration and Insurance Violations, Seat Belt and Child Restraint violations along with Motor Vehicle Equipment Violations. Traffic Safety Checkpoints are a valuable tool used to promote the safety and well-being of the public as well as providing police with visibility and interaction with the community. Checkpoints are utilized throughout the Commonwealth to help promote highway safety. Local police and county agencies may also assist the Kentucky State Police in conducting these Traffic Safety Checkpoints. All checkpoints will be set up in accordance with state law and in compliance with Kentucky State Police policy and procedure.